Days after pledging to designate Pakistan-based Jaish-e-Mohammed chief Masood Azhar, as a global terrorist at the UN, France sanctions him and frozen his assets in France. A statement from the Government of France cited the attack at Pulwama on February 14, which claimed lives of more than 40 CRPF personnel, saying that Masood’s organisation, JeM claimed responsibility of the attack. “France has decided to sanction Masood Azhar at the national level by freezing his assets in application of the Monetary and Financial Code. A joint decree of the Ministries of the Interior, and Economy and Finance was published today in the Official Gazette,” said a press statement from the Government of France that was also placed on social media by the French Ambassador to India. Apart from creating hurdles for financial transactions, the sanction from France will also help in stopping travel by Azhar and his known followers. The statement reiterated French support to India’s fight against terrorism. France had extended support to India’s international campaign to ban Masood Azhar as a terrorist who threatens global peace and safety. “We will raise this issue with our European partners with a view to including Masood Azhar on the European Union list of persons, groups and entities involved in terrorist acts, based on this decree,” the press statement said. France’s action is expected to put more pressure on Pakistan to act against the terror groups based in its territory. India has been demanding tough verifiable action against the terror groups and individuals like Masood Azhar. 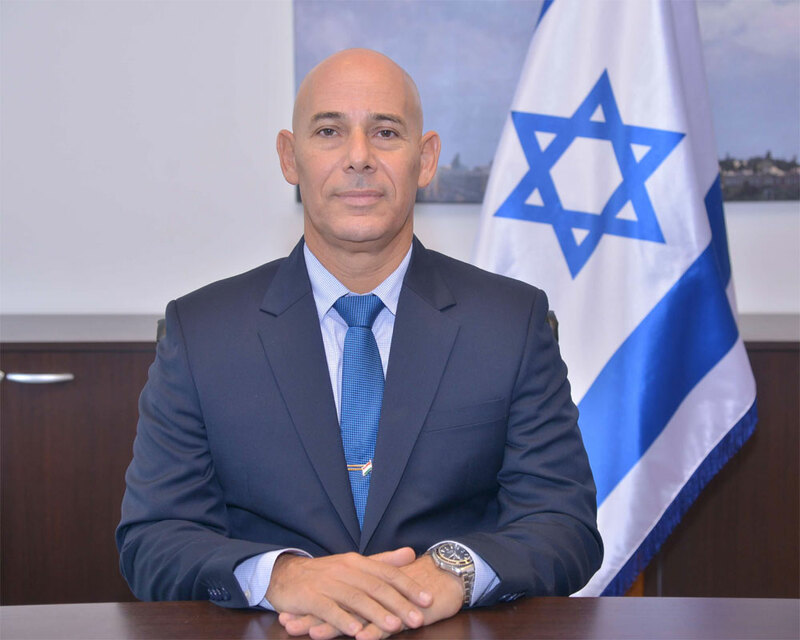 Israel has offered unconditional help to India in defending itself, especially against terrorism, asserting that “there is no limit” to its assistance, an assurance which assumes significance amid demands that the government should consider Israeli-type retaliation to terror strikes. “Whatever India needs to defend itself there is no limit. We are here to help our close friend India to defend itself specially against terrorism because terrorism is the problem of the world and not only of India and Israel,” Malka told PTI in an interview early last week. After the Pulwama attack, Malka had also tweeted that “Israel strongly condemns the terror attack in #Pulwama and stands by our Indian friends during this difficult hour. We send our deepest condolences to the CPRF and their families, the people of India and the Indian government following the terrible #KashmirTerrorAttack . Following uproar over his remarks on Pakistan after the Pulwama attack in Jammu and Kashmir, Punjab Cabinet Minister Navjot Singh Sidhu has been dropped from the popular “The Kapil Sharma Show” on television. While the terror attack evoked widespread condemnation and calls for action against Pakistan, Mr. Sidhu said that the dialogue with Islamabad should continue. “Wherever wars are fought and such things (terrorist attacks) happen, dialogue also continues simultaneously. There is a need to find a permanent solution to (issues between India and Pakistan). Such people (terrorists) have no religion, no country and no caste. When a snake bites, its anti-dote is also snake poison,” Mr. Sidhu had said. His comments led to a huge uproar, with hashtags like #BoycottSidhu #BoycottKapilSharmaShow and #BoycottSonyTV trending on Twitter. Asked if the decision comes after his remarks, the source said: “There might be other reasons as well, but this thing is surely one of them.” Confronted by media on Saturday regarding his removal from the TV show, Mr. Sidhu walked away, refusing to comment, sat in his SUV and drove away. Mr. Sidhu’s official Public Relations Officer (PRO) told IANS that the minister had not made any comments regarding the Sony TV development. He said that the minister was in Moga on Saturday to offer condolences to CRPF martyr Jaimal Singh and was later scheduled to visit Sultanpur Lodhi in Kapurthala and Amritsar. There were also reports that he has been replaced by Archana Puran Singh on the show. But the source declined to comment on the same. 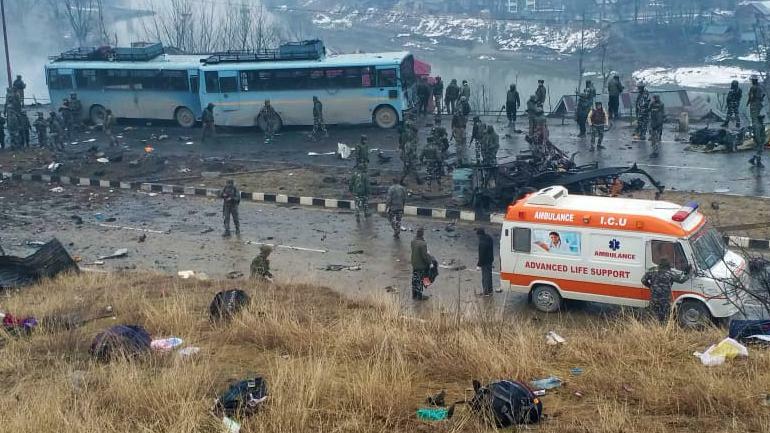 In the worst ever terror attack in Jammu and Kashmir since militancy erupted in 1989, a Jaish-e-Mohammad (JeM) suicide bomber on Thursday rammed his vehicle packed with explosives into a CRPF bus on the Jammu-Srinagar highway in Pulwama district, killing at least 40 troopers on the spot. After the strike, India rejected Pakistan Foreign Secretary Tehmina Janjua’s claims denying her country’s links to the attack, saying that JeM, which claimed responsibility for the strike, is based in Pakistan, and the “links are clear and evident and for all to see”. The attack has left the security establishment stunned as it created the biggest casualty of security personnel in a single day in peace time. At least 42 CRPF jawans were killed and many injured in an IED (improvised explosive device) blast in the Lethpora area of south Kashmir’s Pulwama on Thursday afternoon. This is the highest number of casualties in an attack in the last three decades in Kashmir. Preliminary reports suggested that the blast occurred at 3 p.m. when the CRPF convoy, carrying dozens of jawans, was moving on the highway. CRPF Inspector General said a vehicle laden with explosives hit the convoy. Jaish-e-Muhammad claims responsibility for the explosion, saying it was a suicide blast; two CRPF vehicles damaged in the blast. Terror outfit Jaish-e-Muhammad (JeM) has claimed responsibility for the attack, saying it was a suicide blast. A JeM spokesman said its cadre Adil Ahmad Dar alias Waqas carried out the bombing. It was not immediately clear if Dar was in the vehicle when it exploded. “All injured have been shifted to a hospital,” said the police. The highway was sealed, as deployments were rushed to the spot. The police said they were verifying if the IED was planted on a vehicle and was detonated when the CRPF vehicles neared it. Prime Minister Narendra Modi termed the attack despicable and asserted that the sacrifices of security personnel would not go in vain. He also spoke with Home Minister Rajnath Singh and other top officials in the wake of the attack. “Attack on CRPF personnel in Pulwama is despicable. I strongly condemn this dastardly attack. The sacrifices of our brave security personnel shall not go in vain,” he tweeted. He said the entire nation stood shoulder to shoulder with the families of those killed. He also wished speedy recovery of those injured. “Spoke to Home Minister Rajnath Singh and other top officials regarding the situation in the wake of the attack in Pulwama,” he said. The Congress conveyed its condolences to the family of the slain jawans through its official Twitter handle. “We are deeply saddened and angered by the terrorist attack that took the lives of our CRPF jawans in Pulwama. We strongly condemn this violence and stand with the martyrs. Our thoughts & prayers are with their friends and families in this time of grief,” it said. BJP president Amit Shah termed the terror attack an “act of cowardice” and asserted that security forces would defeat those involved in terrorist activities. “Pained beyond words by the terror attack on our soldiers in Pulwama (J&K). It is an act of cowardice. My deepest condolences are with the families of our soldiers who have lost their lives. Our forces will remain firm against such acts of terror and defeat them,” he said in a tweet. The Brazil-Russia-India-China-South Africa (BRICS) grouping of the five emerging economies has unequivocally named the Pakistan based groups Jaish-e-Mohammad (JeM) and Lashkar-e-Taiba (LeT) as terror organisations, removing a key irritant in ties between New Delhi and Beijing and stepping up the fight against global extremism. A Joint communiqué released at the BRICS summit on Monday expressed concern about the regional security situation and listed Taliban, ISIL/DAISH, Al-Qaeda and its affiliates including Eastern Turkistan Islamic Movement, Islamic Movement of Uzbekistan, the Haqqani network, Lashkar-e-Taiba, Jaish-e-Mohammad, TTP and Hizb ut-Tahrir as sources of violence. Analysts say the BRICS position underscores a shift in China’s position, on hyphenating its ties with India with its relationship with Pakistan. In the past, Beijing has repeatedly asked for a “technical hold” in designating the head of Pakistan based JeM as in international terrorist in the United Nations Security Council 1267 committee—a move that seemed to reflect its special ties with Islamabad. Stepping up the combat against global terrorism further at the international level, India is now planning to hold a global conference on countering radicalisation, Ms. Saran said. “On countering radicalisation, India in the context of the Association of South East Asian Nations (ASEAN) and the BRICS offered to organise a global conference on countering radicalisation. Countries with a positive experience on this will be able to share their experience (at this conference). Observers point out that by converging on counterterrorism, India and China are taking a big confidence building step especially in the context of the recent military tensions at the Doklam plateau. Ahead of a one-on-one meeting between Prime Minister Narendra Modi and Chinese President Xi Jinping slated for Tuesday, India has signaled that it wants to open a new chapter in ties with China. “We want to bury the ghost of D-word (Doklam) in our engagement in the future,” an official source who did not wish to be named said. “This will be the central message that the Prime Minster would like to convey during his visit to Xiamen,” he observed. It was as yet not clear India-China teis have reached an inflection point in the post-Doklam phase. But ahead of the summit of the five emerging economies, the Chinese foreign minister Wang Yi had also advocated the formation of a “different mechanism”, that will obviate Doklam-like situation on the borders “in the long-run”. Besides, Chinese President Xi Jinping on Sunday had also highlighted the urgency of avoiding “confrontation” as the security template for the five emerging economies, which are setting course on the second decade of their collaboration. He underscored that the BRICS grouping must uphold the value of diplomacy to resolve “hotspot issues”. In a significant development, the United States had moved the United Nations to ban Pathankot air base terror attack mastermind and Pakistan-based Jaish-e-Mohammad (JeM) chief Masood Azhar in the second half of last month. UN Sanction Committee‘s listing would have imposed asset freeze and travel ban on Azhar by countries. “We have to understand and work through what these objections are. Any objective reading of the case would lead one to support the designation (of Azhar by the UN Security Council),” Verma had told PTI in a telephonic interview on his last day in office in New Delhi. Azhar, a resident of Bahawalpur in Pakistan, was one of the three terrorists freed by India in exchange of 166 hostages of Indian Airlines plane IC-814 which was hijacked to Kandahar in December 1999. Azhar, at that time, belonged to Harkat-ul Mujahideen, and soon after his release, he floated the new outfit Jaish-e-Mohammad in Pakistan which carried out several attacks in India, including on Parliament on December 13, 2001 and Pathankot air base. India has renewed its demand for international action against terror outfits Lashkar-e-Toiba (LeT) and the Jaish-e-Mohammed (JeM) and “their shadowy supporters”. Denouncing the two organisations, whose leadership is based in Pakistan, as affiliates of al Qaeda, India’s Permanent Representative Syed Akbaruddin told the United Nations Security Council that it was imperative to take action against the support they get from outside. In an implied criticism of China, he blamed the “split” in the UN bodies that mete out sanctions on terrorist organisations for the world body’s inability to deal with the terrorism. China has blocked India’s efforts to have international sanctions imposed on Pakistan-based JeM chief Masood Azhar by a committee that takes action against al-Qaeda and its affiliates. Azhar was behind the attack on the Pathankot air force base this year, according to the NIA chargesheet. As a member of the Security Council, China has also provided cover for Pakistan releasing on bail Zaki-ur-Rehman Lakhvi, the LeT commander who masterminded the 2008 attack on Mumbai which killed more than 160 people. He was already on the UN list of those facing sanctions as terrorists. “We need to address, as an imperative, the support that terrorist organizations like the Taliban, Haqqani Network, Daesh, aI-Qaeda and its designated affiliates such as Lashkar-e-Toiba and the Jaish-e-Mohammed which operate entirely outside the fabric of international law draw from their shadowy supporters outside Afghanistan,” Akbaruddin said. The international community has to make “it clear that we will neither roll over in the face of terror, nor will we of allow the roll back of the achievements of the resolute people and government of Afghanistan in the last decade and a half,” he said. Security forces have arrested two men from PoK who have been working for Pakistan-based terror outfit JeM and acting as guides for infiltrating groups along the Line of Control(LoC) in Uri sector in Kashmir, the Army said on Saturday. “Security forces have arrested two PoK nationals who have been working for Jaish-e-Mohammed terror outfit and acting as guides for infiltrating groups along the Line of Control in Uri Sector,” an army official said. The official said the two men were apprehended in a joint operation by the Army and BSF close to the LoC on September 21. One of the arrested men is believed to have acted as a guide for the four JeM terrorists who attacked an Army base in Uri in Kashmir on Sunday. “During the investigation, the individuals have revealed their identities as Ahasan Kursheed alias DC, a resident of Khaliana Kalan and Faisal Hussain Awan, a resident of Pottha Jahangir–both in PoK,” the official said. He said the duo was recruited two years ago by JeM and were guiding militants to infiltrate across the LoC. The details provided by them are being examined and corroborated by the concerned agencies, the official said, adding the two men are now in the custody of the Army and are being interrogated. The arrested men were initially believed to have told their interrogators that they had inadvertently crossed the LoC. The arrest comes six days after the deadly attack by four heavily armed JeM terrorists in Uri in which 18 soldiers were killed. The four terrorists were also killed in the encounter. The National Investigation Agency (NIA) today registered a case to probe the terror attack at the Army installation in Uri in Jammu and Kashmir in which 18 soldiers were killed and dozens others injured after four Pakistani militants stormed the base. The NIA took over the investigation from the Jammu and Kashmir Police, which had registered a case on Sunday, and began probe by collecting evidence available with the Army formation at Uri, 102 kms from here. Besides the arms and ammunition recovery, two mobile sets were recovered from the four terrorists belonging to Jaish-e-Mohammed terror group and two Global Positioning Systems (GPS). Official sources said the NIA team, which was now camping at Uri, would collect the DNA samples of the four unidentified terrorists and their pictures would be shown to Jaish cadres lodged in various jails of the state as well as other parts of the country. Two of the four bodies are charred below the waist, they said. The sources said while one GPS was damaged due to the fire, the other was being examined with the help of technical experts to ascertain the route taken by the terrorists and whether some help was extended to them by any local. The place where the attack took place is located barely 6 kms from the Line of Control. The NIA team would prepare a dossier and may make a formal request to Pakistan once the identity of the four was ascertained, the sources said. Army has also instituted an inquiry into the attack with preliminary investigation suggesting the terrorists had entered the area at least a day before mounting the brazen assault. The inquiry besides ascertaining lapses, if any, would also suggest measures to prevent such attacks in the future as Pakistani-based groups were indulging more in “shallow infiltration”, which means that terrorists strike the first available installation after crossing the Line of Control. India had reacted strongly to the deadliest attack on the Army in Jammu and Kashmir in quarter-century-old insurgency with Prime Minister Narendra Modi strongly condemning it. US President Barack Obama on Tuesday asked nations engaged in “proxy wars” to end them, warning that if communities are not allowed to co-exist, the “embers of extremism will continue to burn” causing sufferings to countless human beings and export of extremism overseas. “No external power is going to be able to force different religious communities or ethnic communities to co-exist for long,” Obama told the world leaders gathered here for the 71st UN General Assembly session. “Until basic questions are answered about how communities co-exist, the embers of extremism will continue to burn. Countless human beings will suffer and extremism will continue to be exported overseas,” he warned. “Across-the-regions conflicts, we have to insist that all parties recognise a common humanity and the nations end proxy wars that fuel disorders,” he said. India accuses Pakistan of waging a proxy war by supporting, arming and training militant groups like Jaish-e- Mohammad, Lashkar-e-Taiba who launch cross border attacks. In one of the deadliest attacks on the Indian Army in recent years, 18 soldiers were killed by heavily armed Pakistan-based Jaish-e-Mohammad militants who stormed a battalion headquarters of the force in Kashmir’s Uri town early Sunday. Obama’s remarks a day after his Secretary of State John Kerry asked Pakistan Prime Minister Nawaz Sharif to prevent terrorists from using his country’s territory as safe havens. “We have taken away terrorist safe havens, strengthened the non-proliferation regime, resolved the Iranian nuclear issue through diplomacy. We opened relations with Cuba…And we welcome a democratically elected leader of Myanmar to this Assembly,” he said.